Home Article 33 Years American Movie Personality Issa Rae Dating A Boyfriend Or She Is Secretly Married To Someone? 33 Years American Movie Personality Issa Rae Dating A Boyfriend Or She Is Secretly Married To Someone? The hard-working and extremely talented Senegalese beauty' Issa Rae is widely recognized through her web series on YouTube" The Awkward Black Girl". Apparently, she is the all-rounder in the movie industry be it writing scripts and editing or acting and directing. Issa's success and undeniable genius as an actor-writer and business person make her very crush-worthy. Her hectic schedule is keeping her undoubtedly very busy making it difficult for her to keep up with dating and stuff. In addition to this, she is also known for keeping her personal life under wraps. So is this Senegalese star dating anyone right now? Issa Rae: Dating Anyone? Who Is Her Boyfriend? As Issa is a very private person and it's not very clear if she is dating anyone at present or not. However, in 2017 there were rumors circulating about her being romantically involved with Ghanaian American actor and model Kofi Siriboe. The two were flirtatious on social media. They frequently posted pictures of hugging each other with flirty comments which fueled rumors furthermore. Soon after that Siriboe was rumored to be dating someone. Since then he removed all the activity from his accounts. Later in March, he went public about his relationship with Australian supermodel Duckie Thot. Regardless, Rae and Siriboe are still friends. In June, she posted a pic of the two of them participating in a fireside chat she created called "A Sip" in Miami. Issa Rae is not married as far as we know and even if she gets hitched there's a little chance that many would actually know about it. She has made it very clear in the past that she is not keen on opening up about her love life through her interview with Marie Claire in April. 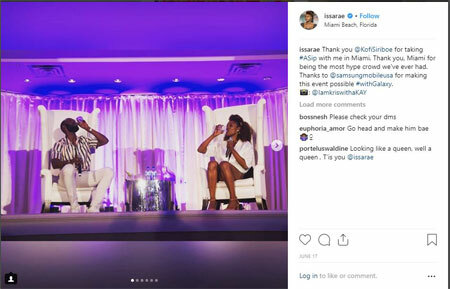 Because of the similarity between the lead role Rae plays in Insecure as Issa Dee and real-life Issa Rae, people often wonder if her love life at present coincides with the ongoing romance in the Tv show. When the Vogue reporter put forth the very question she reportedly waved it off. Rae is known for her unapologetic candidness as this. Through this, she became famous from her role in "The Awkward Black Girl" and" Insecure". So if incorrect rumors circulate about her love life she will certainly come forth to clear things up. In an interview with Glamour, Rae made it clear that she doesn't owe an explanation to anyone about her relationship status. She lives up to her value and is not affected by the reckless assumptions people make to steal the limelight. And as long as Rae knows her truth, single or not, that's all that matters. She stands at the height of 5'8". 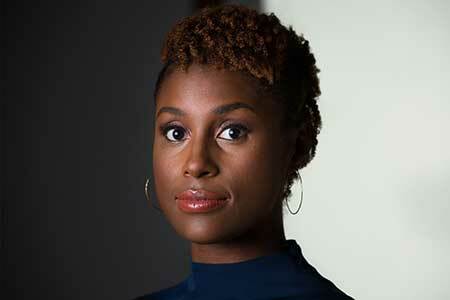 She has two Golden Globe nominations to her name for her television series Insecure. She was named in TIME Magazine’s 2018 list of the world’s most influential people. Her estimated net worth is $3million.